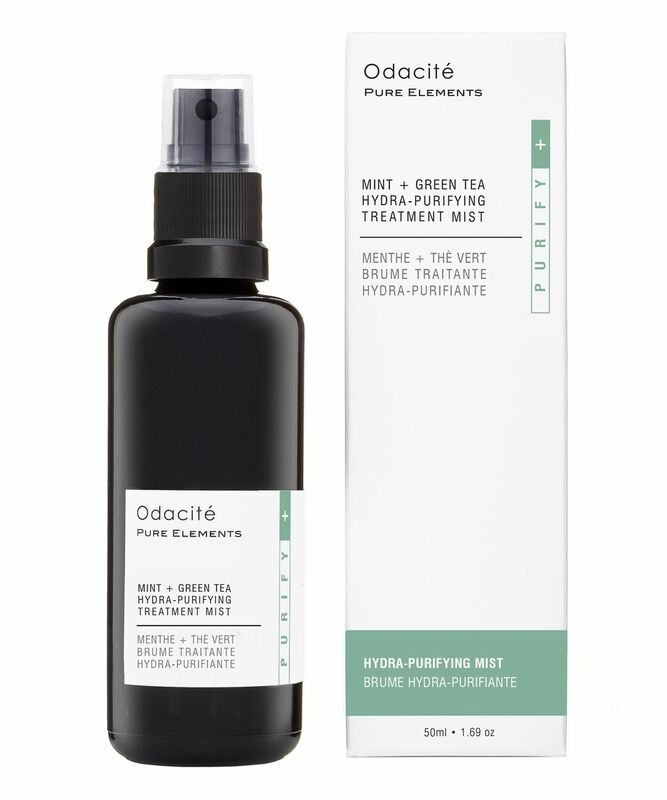 A targeted treatment to ‘tone’ and refresh oily, pimple-prone skin types, Odacité’s exquisite Mint + Green Tea Hydra-Purifying Treatment Mist works to replenish and re-balance after cleansing – regulating sebum synthesis and combatting congestion to restore skin’s youthful clarity and luminosity. If your complexion is susceptible to breakouts, is acneic or just prone to shine, Odacité’s Mint + Green Tea Hyda-Purifying Treatment Mist works hard to regulate, rebalance and purge pores of embedded impurities. 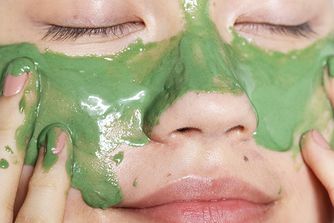 Naturally rich in pore-purifying salicylic acid, Willow Bark battles blackheads and eliminates dulling dead cells, while peppermint oil absorbs excess sebum to maintain a matte, flawless complexion. Healing aloe vera then reduces inflammation and accelerates repair, while green tea extract – naturally rich in antioxidants – neutralises the harmful effects of the everyday environmental onslaught. With a refreshing and invigorating fragrance, apply to clean skin after cleansing, then mist throughout the day to refresh skin (and make up) while granting a gorgeous, dewy ‘glow’. After cleansing to restore perfect skin pH and minimise pores. I love the fact that this is aloe based rather than just water. It's the tiniest face mist I own yet the most handy and effective. 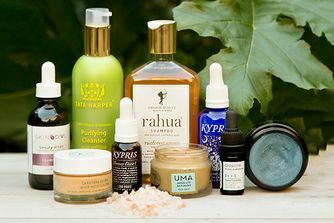 It hydrates very well and didn't break me out. Travel friendly too. Will repurchase. I have sensitive acne prone skin, this spray helps to hydrate my skin and control my acne very well even when I get pimples they tend to fade away faster than they used to. Will definitely repurchase. I have been loving this spray, nothing fancy but it does hydrate very well, I use before my moisturizer every time I feel I went crazy with my exfoliation game and don't want to dry my skin out. Great stuff!